Whether you’re a first-time or long-time customer, we work to exceed your service expectations and leave you fully satisfied with our work. Even if you only have a question or two, contact our team to learn more about your tank or tankless water heater. Today’s homeowners have multiple options when it comes to installing a new water heater. Not only can you choose between traditional tanks and new tankless water heaters, but you must also decide the best way to power your water heater. Electricity, natural gas, propane and solar are just a few of your options among others. You’ll want to make the choice that best serves your home with effective water heating and inexpensive costs. Tuckey Mechanical Services is the provider you can trust to help guide you in the right direction. We can offer advice on what will deliver the most efficient, effective performance in your home, as well as what type of water heater is likely to save you money. We rely on our team’s experience and knowledge to help you do what’s best for your unique needs. Tankless water heaters are becoming a popular home improvement upgrade. Why? Tankless water heaters provide hot water on demand. In addition to the comfort and convenience factors, they can save you money through increased efficiency. Tankless water heaters only heat water when you need it, and there’s no more flushing away of cool or tepid water as you wait for the hot water to arrive. Point-of-use water heaters provide similar performance. They save on time and money by immediately delivering the hot water you need without any waiting or waste. At Tuckey Mechanical Services, our team is well-versed in the pros and cons of point-of-use and tankless water heaters, and we can provide expert maintenance, repair and installation services for each type. Have questions about either one? Ready to move forward with an installation? The licensed technicians at Tuckey can help. 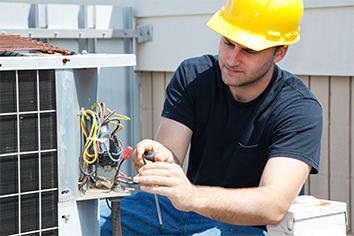 Waiting on water heater repairs can also exacerbate your problems. When you wait on repairs, you risk damaging your water heater’s operating ability and efficiency. Decreases in function and efficiency can then lead to a reduction in the equipment’s usable lifespan. At Tuckey Mechanical Services, we perform routine and regular maintenance that prevents repairs. 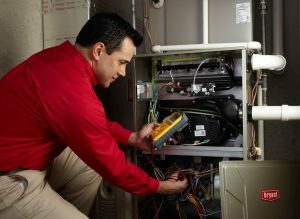 We can provide maintenance and repair services on all makes and models of electric, gas and heat pump water heaters, as well as tank and tankless. Regular maintenance is the key to getting the most out of your water heater. Homeowners can expect to get 12 to 15 years of use out of a water heater, but proper maintenance can help you reach the top end of that spectrum. Make sure you schedule regular service, especially before the coldest months of the year. 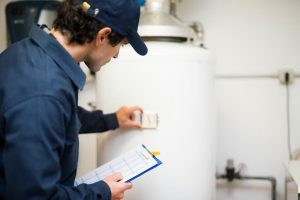 Preventive maintenance and tune-ups ultimately ensure that your water heater is working at the highest level of efficiency – extending its lifespan and saving you from expensive repairs and replacement work. Tuckey has been working with home and business owners in South Central Pennsylvania for more than five decades. We are proud to provide water heater repair and installation in Harrisburg, Carlisle, Chambersburg and the surrounding locations. Whether you need a new water heater, repair, maintenance or simply expert guidance, Tuckey is ready to help. Contact us today about your water heater needs in Harrisburg, Carlisle and Chambersburg. "David W. was very professional and friendly. Got my hot water heater up and running very quickly. Great Job. A++++"